Now you’ll need to pay for that college! Almost as soon as the first acceptance to college came in, so did the idea of actually having to pay for their tuition and room and board. When they were small it was something we always envisioned we would do and planned accordingly. We even invested in Florida Prepaid for all three of our kids and encouraged them to get as much as they could from Bright Futures Scholarships. Regardless of that, a little help is always appreciated and in some cases far more necessary. There are so many scholarships available these days; the question remains in finding the right ones that they may qualify for. Some scholarships are quite competitive, some last for four years, and some are downright silly, but pay for something. All make those bills for the next four (or more) years more bearable. FSU launched a new online platform for awarding donor-funded scholarships offered through the FSU Foundation. · The system, FS4U – Finding Scholarships For You, is a scholarship management software program that will be used to award all Foundation scholarships. · FS4U has many useful online features and benefits for admitted students. 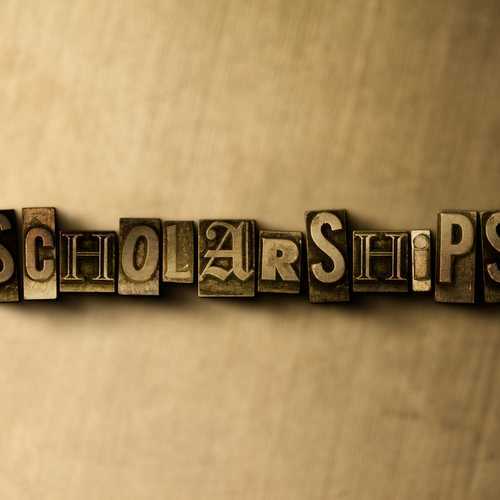 Students can view available scholarships for which they may be eligible, apply for scholarships, view and accept scholarship offers and submit thank you letters or other post-acceptance requirements. Students may access the system here. Detailed instructions to assist you with logging in for the first time and becoming familiar with the system and its features can be found also at this website. Students may also look at some of following websites: FastWeb and NextStudent.com (both are excellent free search engines that are updated daily), GoodCall, BestColleges.com, Cappex.com, CollegeAnswer.com, Scholarships.com, Scholarship Experts, CollegeScholarship.org, and ScholarshipGuidance.com. We also like Scholly Check out the app Scholly, one of the fastest growing apps after appearing on Shark Tank. It matches the student to scholarship using specific parameters including gender, state, and race as well as customized data. The app can even spot scams and weed out scholarships that require you to give a social security number (did we mention, never, ever do this). You may also, check with the city that you live in as many municipalities have scholarship money available. American Legion Scholarship – (Number and amount vary) There are multiple scholarships available to qualifying students. Criteria vary based on individual scholarships. Students should check this website for specific deadlines for each: To date, approximately 2,069 applicants have been awarded more than $5.5 million. Florida State Golf Association Scholarship – (Five awards totaling $10,000) This scholarship is open to Florida residents who are high school seniors with a minimum GPA of 3.0, accepted by a university and demonstrate a financial need. (They have to have competed in a minimum of 3 FSGA or FJT tournaments to be eligible.) The application is on their website. SAE Engineering Scholarship – This is open to high school seniors that plan to pursue an engineering or related science degree. Students can apply to this website. There are also quite a few scholarships specific to FSU that are worth checking into. Florida State University also has some scholarships for loyal Seminoles. The Ben Rosenbloom Memorial Service Scholarship recognizes rising Nole sophomores, juniors, seniors or graduate students with outstanding service and a minimum GPA of 2.0. The Seth Rossetti Memorial Scholarship is available to all current FSU undergraduate students with a minimum 2.5 cumulative grade point average and all incoming FSU freshmen with a minimum 3.0 high school GPA and is the child of a single parent. For a list of other scholarships available, click here. Check out the featured scholarships and private scholarships. Some scholarships require essays and believe it or not, those are the ones most avoided; therefore have the least amount of people applying. Don’t steer away from these; seek help with the essay instead. It is also recommended to apply for any scholarships as early as possible and be sure to have your FAFSA form completed beforehand.